Last week I shared a project for a garland I made with dollar store supplies. 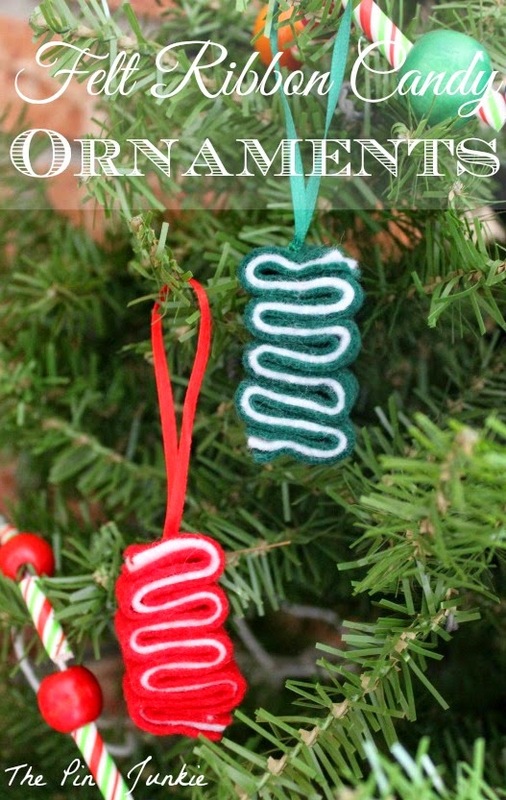 That project prompted me to completely redecorate my little tree with a whole new theme which I'm calling "sugar and spice" which includes these felt ribbon candy ornaments. Old fashioned ribbon candy always reminds me of my dad since it's one of his favorite holiday treats along with English toffee. We always buy a big tree to decorate for Christmas, but it takes time to get it home, get it inside, and set it up. Sometimes I get impatient and can't wait for the Christmas decorating to start, so I get out my little tree and decorate it with ornaments I've made. 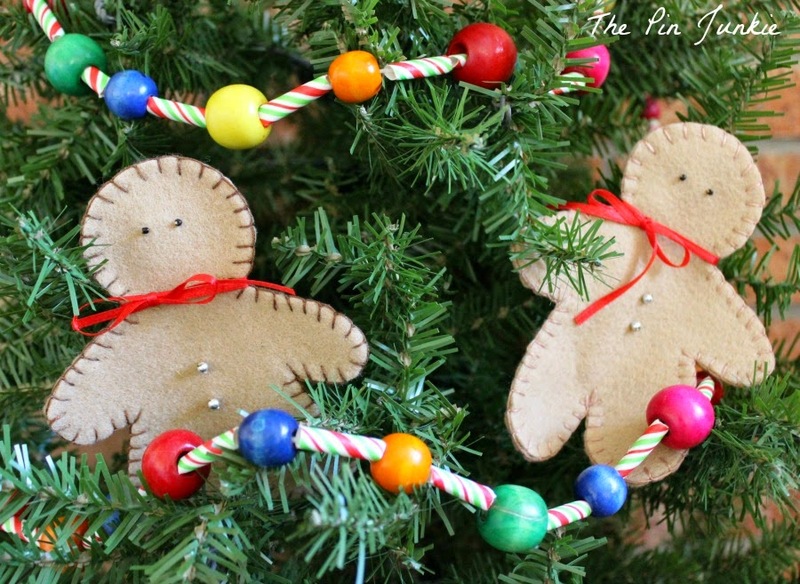 This year I made these fun felt ornaments inspired by old fashioned ribbon candy. 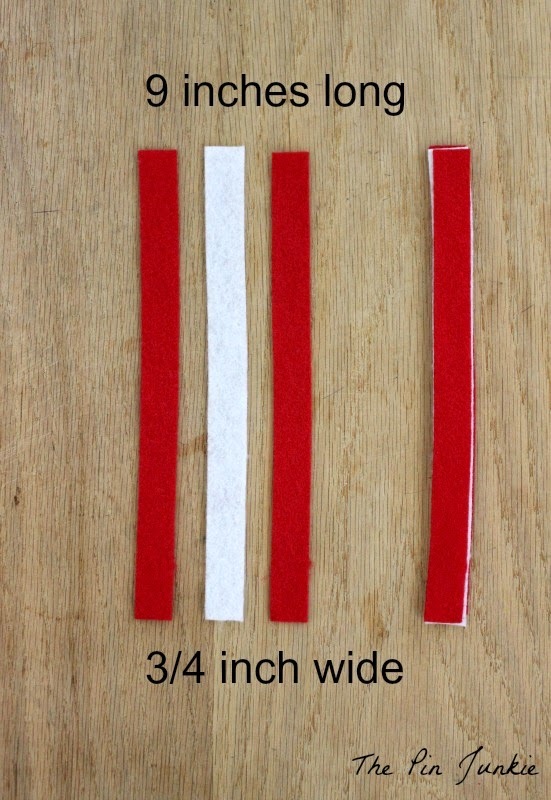 Cut strips of felt 9 inches long and 3/4 inch wide. Cut three strips of felt for each ornament. Then, stack the strips on top of each other, making sure to align the edges. Fold the three layers of felt back and forth. With a threaded needle, pull the thread through the folded layers of felt. Add a piece of ribbon for hanging. Tah-dah! They look like old fashioned ribbon candy! Here's what my "sugar and spice" tree looks like this year. I think it still needs some candy canes and presents! For directions on how to make the garland, go here. 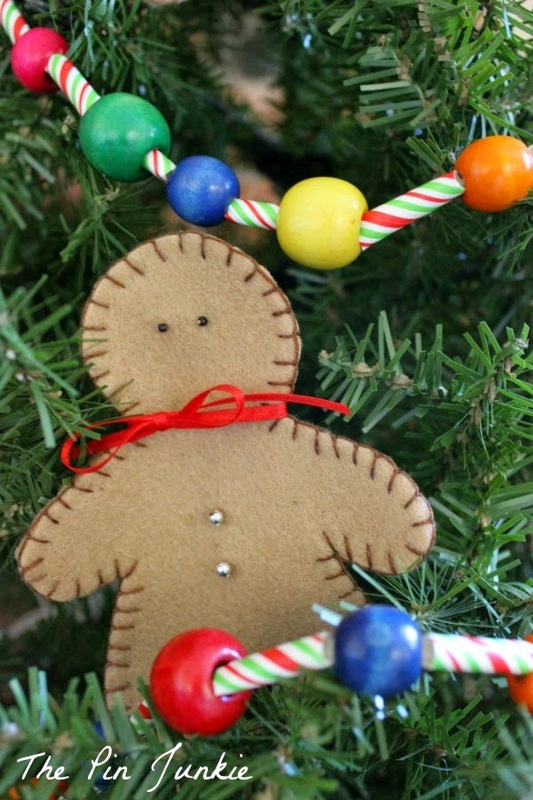 For directions on how to make the felt gingerbread men, go here. 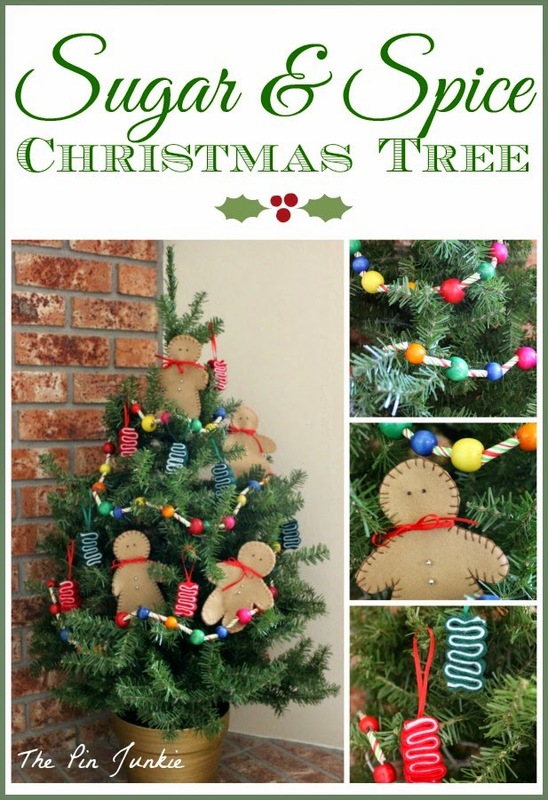 To see how I decorated my tree last year, go here! Inspired by this pin for felt ribbon candy. So cute! These are actually my daughters favorite candy so I will have to make some of these! Is it just me or is ribbon candy getting harder to find at the stores? The only place I've been able to find it was at a specialty candy store and that was a few years ago. Making felt ornaments is my newest favorite thing! 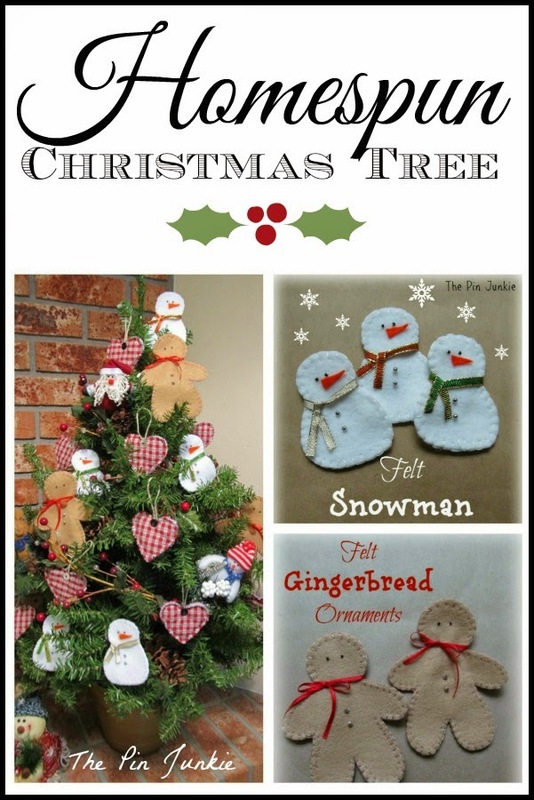 I've found so many cute felt ornaments on Pinterest I had to start a new board! That is a darling tree! And I love ribbon candy! 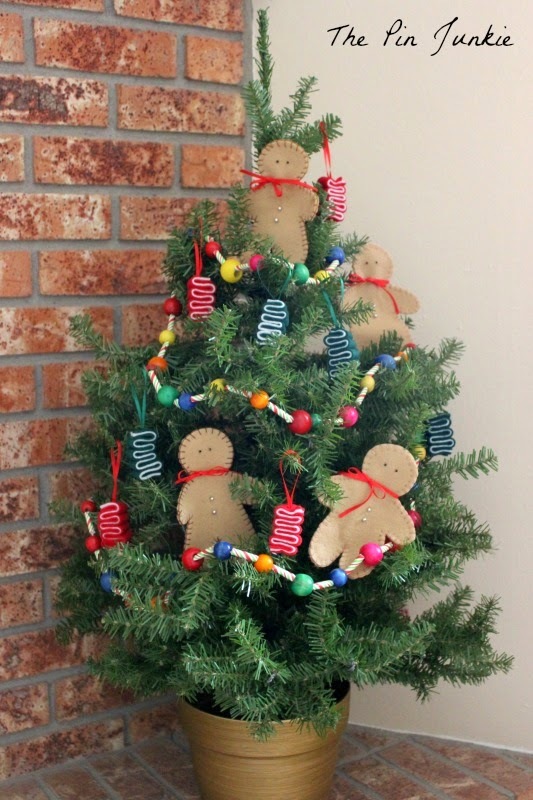 Bonnie, your tree is adorable! I love these ornaments. 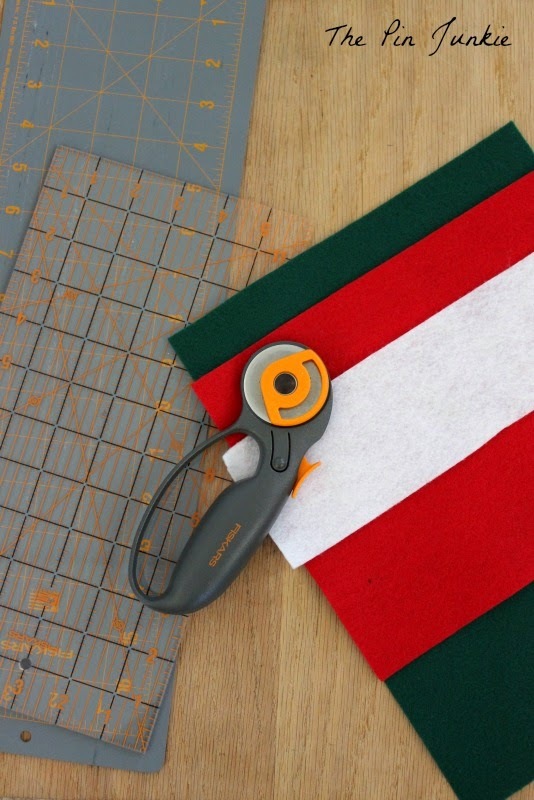 I love a project that stars my rotary cutter.